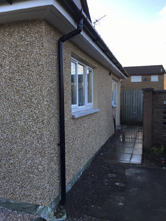 Roughcasting is a cost effective means of covering unsightly brickwork or breeze blocks and can be used to add a sense of character that is often associated with period properties. By the nature of its textured appearance and natural rustic charm, pebble dash can transform the look of a building drastically. 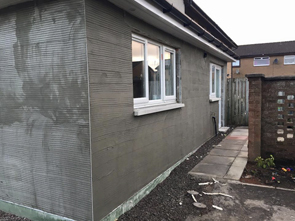 The term ‘pebble dash’ is used to describe this external rendered finish because smooth pebbles or jagged spa are thrown or “dashed” onto a topcoat of render so that they stick to it before it dries and provide a weathering surface. 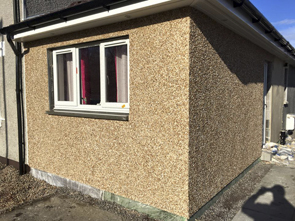 Some pebble dash renders are referred to as ‘spa’ which consists of jagged chippings that are then embedded into and adhere to the render better, which tends to last longer. 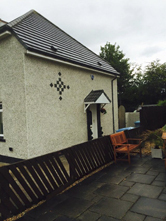 At C.Owens we aim to provide quality workmanship at reasonable prices. We are very thorough in our approach and we will keep you informed and up to date with any developments on the job as they happen. We have a wide range of trade contacts that we are more than happy to recommend to you. We are also very flexible plasterers who can work weekends or out of hours to meet deadlines and get the job done. However big or small the job we can provide a service. Copyright © 2016 Chris Owen Plasterers. All rights reserved.